DENVER — 9NEWS reporter Steve Staeger biked to work on Thursday. Below, he recounts his experience and responds to your feedback. I’m a relatively new commuting cyclist. And with this novelty comes a bit of unintentional ignorance. I have to admit, I was confused earlier this year when state legislators passed and the governor signed a bill regarding so-called “safety stops” for cyclists at four-way intersections. I understood the new law to mean that the generally accepted practice became legal. RELATED | Should bicyclists be allowed to treat stop signs like yield signs? Riding my bike live on the air and showing off a new community cycling program this morning, we received quite a few emails from drivers begrudging us for not appearing to fully stop at stop signs. I’ll admit, television can be a bit deceiving. Our photojournalist Tom Cole was leading our little group with the camera mounted on his bicycle. He made almost all full stops at each intersection, and Avi Stopper, founder of Bike Streets, and I followed his bike through the intersection. 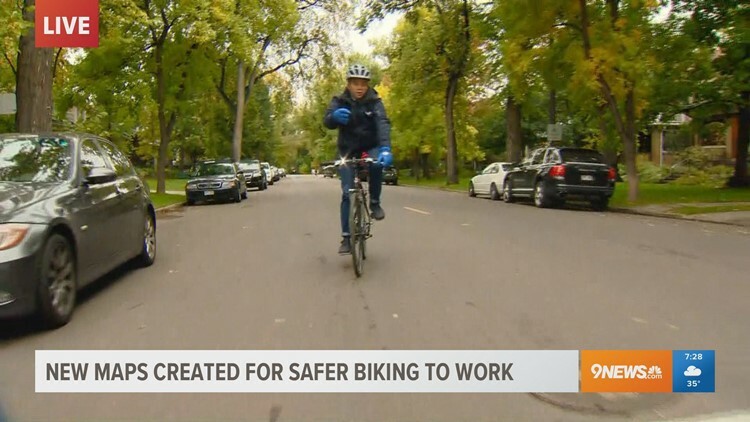 But in defending our coverage this morning, I pointed viewers to the new statute, assuming it allows all cyclists statewide to make these so-called safety stops. After years of failed attempts to pass a statewide standard, the new state law only creates a template for such laws when they are eventually passed by municipalities. As Denver has not passed such an ordinance, technically bikes must make full stops at intersections there. It’s something that I’m sure confuses many other cyclists who I watch make “safety stops” each day, which is why I’d argue the city of Denver ought to at least explore and have a public discussion of the issue. These types of scenarios drive a wedge in the relationship between cyclists and drivers. You could feel that wedge in my inbox this morning. This is a law that shouldn’t be ambiguous. Safety deserves more than that. I’ll continue to ride my bike and continue to try to make a complete stop when it appears to be safe to do so. And I’m grateful I got to learn an important lesson from your feedback this morning.